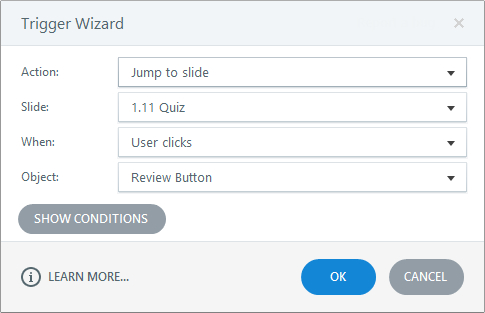 Add a new slide between the last question in your quiz and the result slide. Basic layouts work well. Click the Submit button when they're ready to submit their answers and complete the quiz.